by inspirational author Kanta Bosniak works as a baby blessing for the child and for the child in us all. Directly addressing the child, it serves as a kind of loving welcome as well as a kind of spiritual owner’s manual for exploring the adventure of life. The book gently anchors self-worth, confidence, kindness, and compassion. Parents can read it to the baby still in utero, to the newborn, as well as to the toddler. Toddlers and young children can also enjoy the Welcome To The World! Coloring Book. And adult “children” of all ages may enjoy re-parenting themselves with both book and coloring book, which feature sweetly whimsical line drawings and affirmations typical of Bosniak’s books. Welcome to the World by Kanta Bosniak isn’t your normal children’s book. It’s so much more. It’s a quick read and the flowing language is easy for children to understand and follow. Moms can read this to the baby while in utero, as well as newborns. My children are four and six and I’ve been reading Welcome to the World with them in the mornings and they love the Happy Buttons part of the story. With words of inspiration and encouragement, I found myself smiling while reading this book to my children. Even as it’s geared for younger readers, it resonates with adults as well. It also provides us a little reminder of what truly matters in life and what is important in the world. The illustrations in the book keep the kids engaged as well, from the baby to the whale, the large, hand-written words to the lion. All the illustrations enhance the words on each page and my children loved it. I can absolutely see myself buying this as a baby shower gift for a new mom. 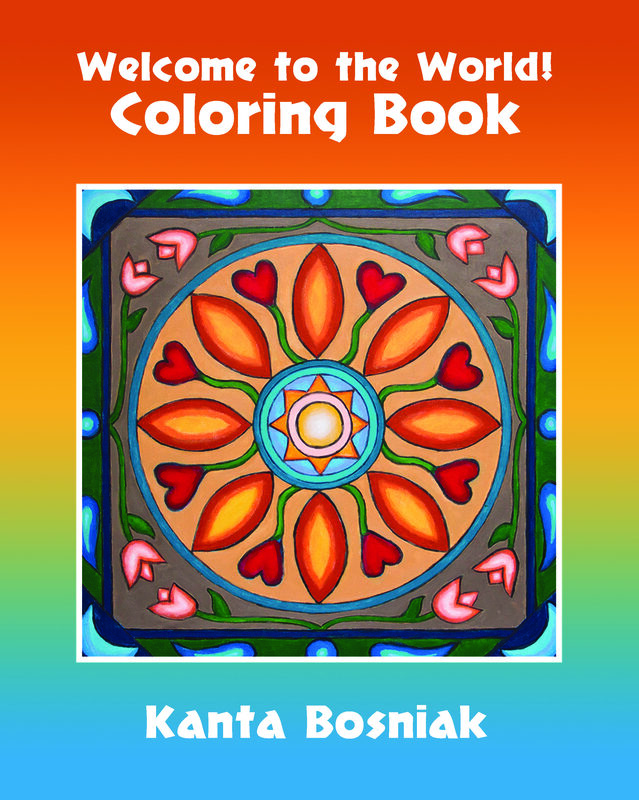 Along with the Welcome to the World by Kanta Bosniak book, there is a companion Welcome to the World Coloring Book available. 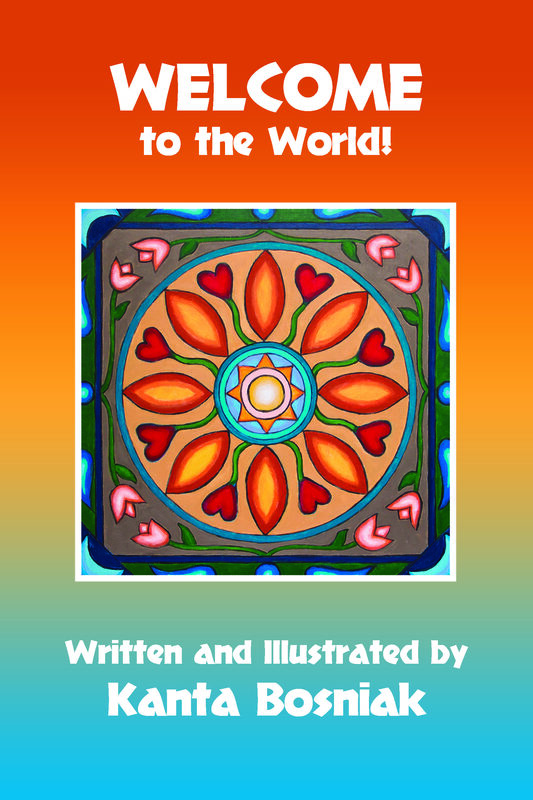 After reading Welcome to the World by Kanta Bosniak, my children and I took turns coloring both inside and outside the lines in the coloring book. With large, whimsical illustrations and inspirational words on the pages, it encourages kids to enjoy life and find their happy buttons. Even when the kids weren’t around, I found myself drawn to the trigger messages in the coloring book and smiling at the gentle reminders to find your happiness and love every day. Of course, then I pulled out the crayons and started coloring. Because the illustrations are a bit more whimsical than most coloring books it makes it easier to let your creative side out and gives the children the opportunity to embellish the drawings. I love the fact that when the kids were done coloring, they still wanted to talk about the words in the coloring book. I think that shows that Welcome to the World Coloring Book is different than most out there. 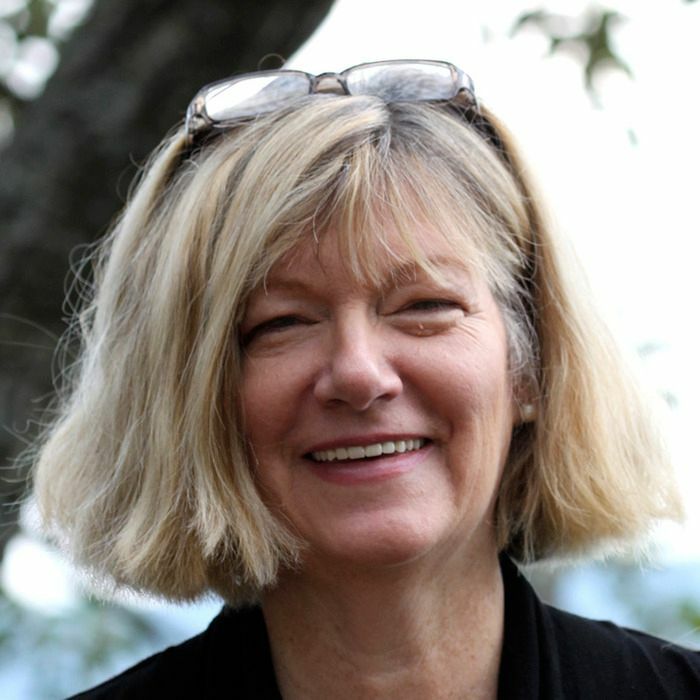 Kanta Bosniak is an author, artist, coach and interfaith minister with over 40 years’ experience as an educator in Spiritual Growth and Guided Meditation. She illustrates her publications with playful drawings and vibrant, color-rich cover art, so that readers and listeners can enjoy owning her work. Collectors of her art include a Nobel Prize Winner, an Emmy-winning producer, a popular television actress, several authors, a U.S. National champion athlete and people of all walks of life. 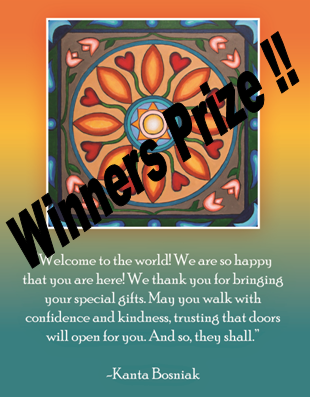 She is a frequent speaker at churches, universities, holistic education centers, and conferences throughout the US. She is listed in Who’s Who in American Women. For more information, visit KantaBosniak.com. I’ve still got some drawings left to color in, they always make me smile. Thanks so much for reading and reviewing, Sherry! I’m so glad you liked the book and coloring book! You’re welcome, Kanta. I love that the book really focuses on the basics of happiness.